At just 19, I was going through a difficult rough patch in my life. I was struggling personally and financially, and was looking for a way to improve myself. That’s when a friend gave me a copy of James Redfield’s The Celestine Prophecy. As a book designed to help guide readers to spiritual enlightenment and personal improvement, this eye-opening novel was able to point me in the right direction of life. The book taught me to realign my mindset, get focused, improve my work ethic, and never gave up — which are four aspects I still take to heart to this day. Because this book is so near and dear to my heart, I just had to write a blog about it to give you all the more reason to read this book as well. Published in 1993, the 246-page novel follows the main character through coincidences in his life that seem to have a meaning to him. The character learns about an ancient manuscript filled with spiritual insights that can help him understand these coincidences, so he sets out on a journey to find the manuscript in the rainforests of Peru. On his journey, the main character meets a historian who is interested in the same ancient manuscript as he is. The historian explains to the main character how the world is undergoing a shift in consciousness. The historian explains that years ago, people believed the world was governed by a god or gods, however, that changed with the advent of science. Now, people are starting to shy away from science because its not providing satisfactory answers to why or how the world operates, and instead, people are focusing on improving their own lives through methods of self discovery, instead — just like the manuscript the character is looking for. Moved by this alternative method of thinking, the main character is determined to find the manuscript, before the Peruvian government and priests do, because they’re determined to keep the information contained in the manuscript hidden. While dodging the law, the main character discovers the manuscript, of which there are nine insights into life itself, with each insight predicted to be experienced one after the other sequentially as they move toward a completely spiritual culture on Earth. 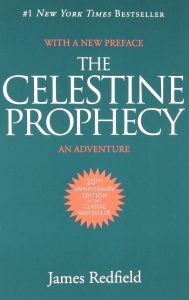 The Celestine Prophecy is actually a first-person narrative of the author’s personal spiritual awakening by making connections among the events happening in his life. Although the story is a narrative, it serves as a guidebook to its readers so everyone can harness their perceptions to direct themselves to new steps in life with energy and optimism. Since this book has changed my life, I highly encourage all my followers to read this book as well. 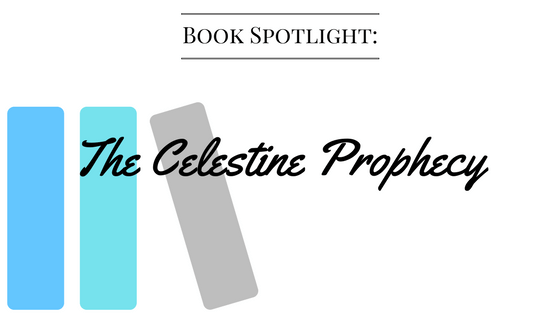 Feel free to purchase the book on Amazon here, and read up on additional celestine insights on Redfeld’s website here. Rachel Krider, a successful personal development life coach and entrepreneur, is the co-host of Born to Prosper’s Mind Power podcast. Along with her husband, Rachel travels the world in luxury to speak to aspiring entrepreneurs at conferences and workshops to inspire them to find their own pathways to success. Rachel Krider is part of The Prosperity of Life Network, a United States-based personal development business with a presence in 52+ countries.